Waipa Mountain Bike Club - Home Home of the Waipa Mountain Bike Club. We are based around Pirongia in the western Waikato of New Zealand. 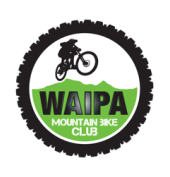 ​The Waipa Mountain Bike Club was formed in 2008. Our goal has always been to promote mountain biking opportunities in the Waipa area and from the beginning this has always centred on building tracks on Mt Pirongia. Thanks to a lot of hard work, much of it done by our inaugural president Brendan Haigh, we gained permission from the Waipa District Council to start building tracks in a 300 hectare block of forestry land on Sainsbury Road, just out of Pirongia. For more on this, see our Sainsbury Road page. However the club is not just about track building, from the start it has been a way for people to meet other bikers to ride with. The club organises rides to places such as Rotorua and Taupo roughly every month or two (usually less often in the winter) and there are usually club members at mountain bike events in Hamilton, Rotorua or Taupo. We have a weekly ride every Thursday night (summer and winter), leaving from outside the Alexandra Hotel, Pirongia to ride up Sainsbury Road. The social ride leaves at 6, but if you want to go with the speed demons, they leave at about 6.15. If you want to cut out the road section of the climb, get to the carpark on Sainsbury Road ready to ride by 6.30 and await the puffing riders heading up the road.